What is left to map in the 21st century? Mostly underworlds, it turns out. One such underworld is the space beneath Antarctica’s Doston Ice Shelf, which a team of autonomous robots just spent a year mapping. While an entirely civilian and academic research mission, the project has valuable lessons about what long-term autonomous operations may look like. In January 2018, a team of researchers from the University of Washington, Columbia University, the Korean Polar Research Institute and the Paul G. Allen Family Foundation deployed seven robots to study the region. Three of these robots were Seagliders, an autonomous long-endurance platform built to collect readings below the surface. These Seagliders were guided by a trio of acoustic beacons placed on the ocean floor for the duration of the mission. Besides the Seagliders, the researchers released four “Electro-Magnetic Autonomous Profiling Explorer” floaters, or EM-APEX, developed by the University of Washington. These sensors were lowered into the deeper warm current of dense saltwater and then dragged along under the ice for a period of several weeks before being expelled with the cool flow of water near the surface. Three of the EM-APEX floaters were expelled by eight weeks. One of the floaters stayed under for almost an entire year, reemerging only on Jan. 5, 2019. The science of the expedition is fascinating and, again, its primary purpose. By examining the interaction between sea ice and ice shelves, the researchers hope to clarify some of the uncertainties in estimates of sea level rise as a result of the increase in global average temperature. While sea level rises have second- and third-order impacts for military planners, it’s the combined operation and long duration of the mission that’s of interest to us today. Underwater is what can be seen as a naturally denied environment, with the difficulties of relaying commands through the sea and ice. Acoustic beacons are a partial solution, giving a set of fixed points around which robots can navigate. Autonomy is the rest of the solution: like submariners running silent, the robots followed orders to the best of their computing power and lasted until it was time to return. 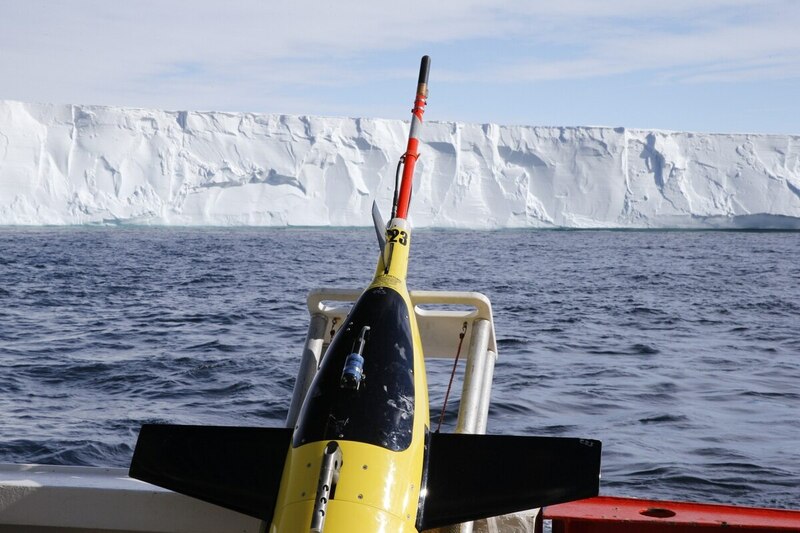 Not all the robots made it; one of the Seagliders is still presumed to be operating under the ice. While all the sensor-carrying floaters returned, passage under the ice could take anywhere between six weeks to nearly a year. Humans that will command and rely upon under robots in the future should expect some attrition in the machines they deploy. As the research and commercial worlds get more comfortable with the long deployment possibilities offered by autonomous systems, military planners should look, too, to what the presence of ambient and ambulatory robots can offer, especially in places where it is difficult for humans to go.